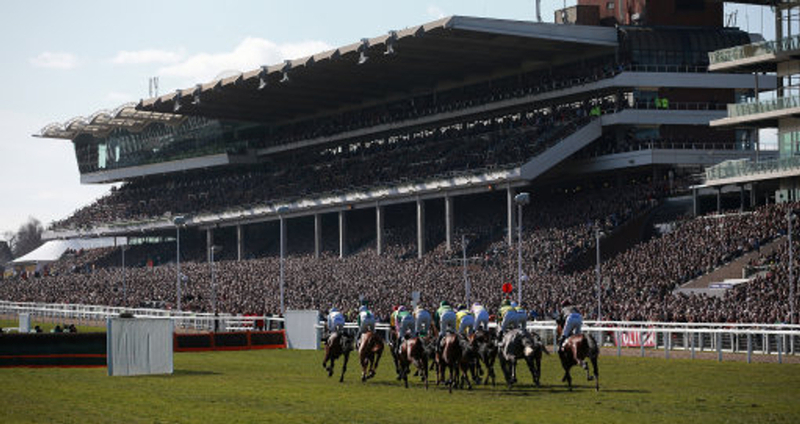 There were many money movers over the weekend ahead of Cheltenham in March, with several markets shorting up their odds with the Festival now under two months away. Three of the main movers come from our 'Three Weekend Eyecatchers' blog which can you read HERE. We will begin with Nicky Henderson's Top Notch, who after another stunning display of guts in the Listed 32Red Casino Chase at Kempton on Saturday, has relaunched his career over fences and looks all-set for a return to the highest level in the Ryanair Chase at the Cheltenham Festival. This was the 8yo's first start over fences since winning the Oaksey at Sandown on the final day of last season, having being sidelined after a bad reaction to a flu jab over the summer. He only reappeared to the racecourse scene just before Christmas, when running an almighty race on return when finishing third in the JLT Hurdle at Ascot to Paisley Park. After being held up on Saturday, he was ridden to lead over two-out and soon asserted after the last, swamping up Kim Bailey's Charbel, and inevitably destroying the form the latter had racked up from the Peterborough Chase. As mentioned, a date with the Ryanair Chase could be on the cards in the near-future, where he is now as short as 8/1 with some firms. Charbel has been eased out to 16/1 for the same contest. At Warwick, Ok Corral proved he is now a very much a strong fancy for the National Hunt Chase at Cheltenham, after knocking down his rivals one-by-one in the Hampton Novices Chase on Saturday. He made the most of his weight advantage against Rocky's Treasure - who had only lost once in five over the larger obstacles beforehand, when staying on well past Kim Bailey's charge three-out who could give no more. With Secret Investor crashing through the last, it effectively handed the race to the JP McManus 9yo, but it was a masterpiece from both the horse and jockey Derek O'Connor. Stamina assured, he looks to have the perfect credentials for the National Hunt Chase over four miles, where he is now as short as 3/1 with Santini the same price, however the latter is expected to stay amongst novice company for the RSA on the Wednesday. When that is confirmed, Ok Corral could be even shorter, so the time to jump on appears to be now, with several firms offering non-runner, no-bet. Impulsive Star - winner of the Classic Handicap Chase at the same venue off feather-weight, has now emerged on the scene as a 9/1 shot. Also on the day, with Birchdale a non-runner, Beakstown landed a wide-open Grade Two Ballymore Leamington Novices Hurdle for the Skeltons', and could be their best chance on paper of success at the Festival in the leading novice events. Beakstown is now 14/1 for the Ballymore over two-miles-five-furlongs, with Champ currently heading the field at 4/1. Elsewhere, we saw another candidate state his or her claims for another novice contest, where Gigginstown may have another representative in the Supreme, should Battleoverdoyen step up in trip for the Ballymore and clash with Beakstown and co. The 6yo made all by a very wide margin, and was effectively unchallenged throughout, particularly with both Mullins runners: Harrie and Buildmeupbuttercup proving to be ineffective, finishing third and fifth. Felix Desjy who was sixth in the Champion Bumper at the Festival last season, and can be found best priced at 15/1 in the Supreme. Vision D'honneur - also a winner yesterday at Punchestown can be found even shorter at 13/1 for the same event. This weekend, we will see if anyone from three possibilities can stop Altior in his tracks on his path to the Festival in March, and should he be beaten, we would expect a real shake-up in the market. Many expect him to come through the Clarence House Chase unscathed however with his unbeaten record firmly in-tact, and the question marks afterwards will be does he definitely head to the Queen Mother Champion Chase once again, let-alone win it. Find out here on our Cheltenham Festival blog this time next week.